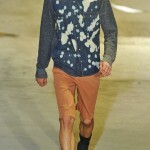 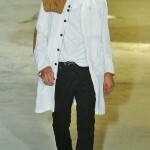 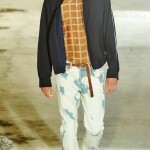 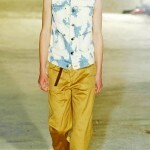 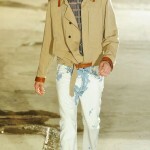 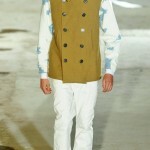 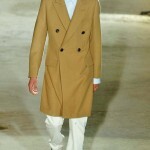 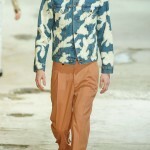 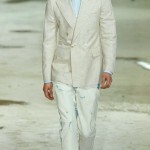 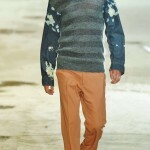 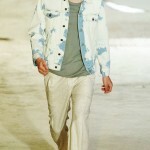 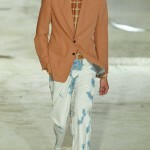 For Spring 2011, Dries Van Noten was seemingly influenced by the early seventies and a bottle of bleach. 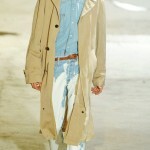 While Van Noten did show impeccable tailoring in his double-breasted jackets and topcoats, his denim jackets and jeans had been bleached to near on rags. 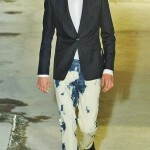 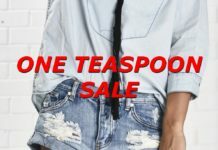 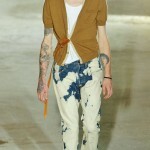 I am curious to see if the jeans are actually sold in the bleach splattered chaos shown on the runway. 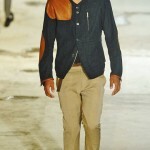 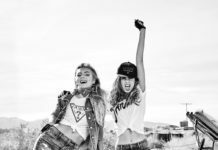 As we know, designers make some pieces exclusive for the runway for cohesiveness. 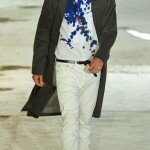 The fashion show was in serious need of a love story that Dries normally tells so well.